Microbial-derived biodiesel was tested on a lab scale CI diesel engine for carrying out exhaust emission and performance characteristics. 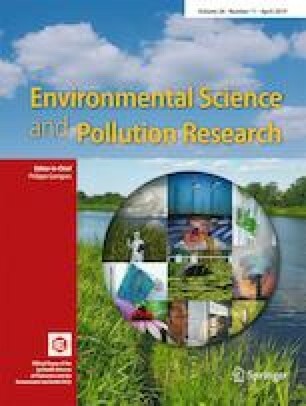 The performance, emission, and combustion characteristics of a single cylinder four stroke fixed compression ratio engine when fueled with microbial bio-diesel and its 10–30% blends with diesel (on a volume basis) were investigated and compared with conventional diesel. The bio-diesel was obtained from microbes which were grown by combining distillery spent wash with lignocellulosic hydrolysate at nutrient deprived conditions. The microbes consumed the wastes and converted the high strength waste water into lipids, which were trans-esterified to form bio-diesel. Testing of microbial bio-diesel blends with ordinary diesel at different loading pressures and the emission characteristics were compared. Results indicate that with increasing of the blends, reduction of HC and CO emissions were observed, whilst brake thermal efficiency maxed out at 20% blending. Further increase of blends showed a tendency of increasing of both emissions in the exhaust stream. The Brake Specific Fuel consumption was observed to decline with blending until 20% and then increased. The nitrogen oxide emissions, however, were found to increase with increasing blend ratios and reached a maximum at 20% blend. The escalation of HC, CO, CO2, and NOx emissions was also observed at higher blending ratios and higher engine loads. The performance studies were able to show that out of the three blends of biodiesel, 20% biodiesel blend was able to deliver the best of reduced hydrocarbon and carbon monoxide emissions, whilst also delivering the highest Brake thermal efficiency and the lowest Brake Specific Fuel consumption. The authors would like to thank Centre of excellence for environmental studies in Government College of Technology for funding this research. We also thank the Department of Mechanical Engineering, GCT, for running tests using CDI engine.